It’s Time To Celebrate!The Farm Bill Has Passed! Home/About Us, Curated, Events/It’s Time To Celebrate!The Farm Bill Has Passed! 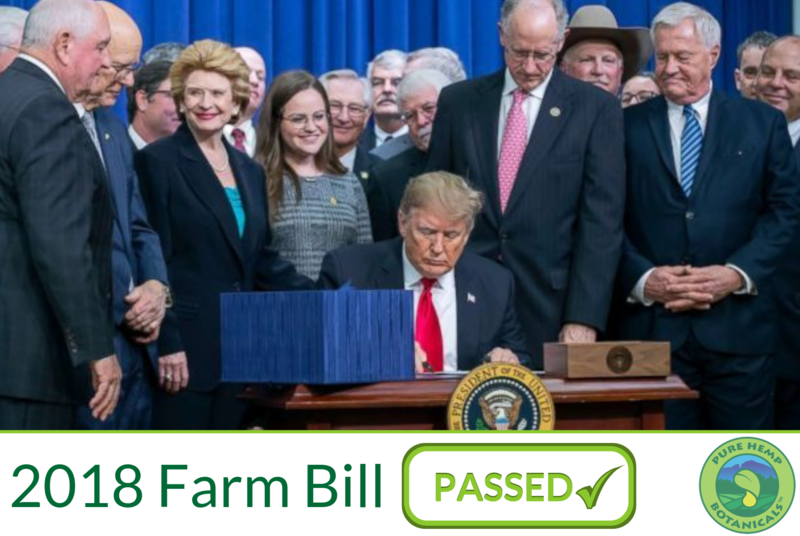 As of 4:00pm on December 20th the Farm Bill has been officially passed. The new bill includes the legalization of hemp which will remove it from the controlled substance act and transfer authority over to the USDA. The Hemp Farming Act was first introduced by Mitch McConnell on April 12, 2018, then on June 13th, the Senate agriculture panel passed the Agriculture Improvement Act of 2018. From there the entire Farm Bill was a passed by the Senate on December 11, 2018. Now today President Trump signed the bill making it go into effect immediately. 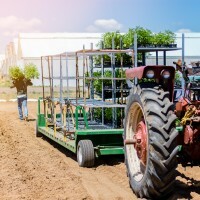 This is a HUGE step for farmers, Hemp and CBD in general. What does the Hemp Farming Act entail? Improved cooperation with regulatory bodies and federal programs, such as the USDA National Organic Program: Currently, Canadian grown hemp may be certified USDA Organic, but U.S. grown hemp may not. Full federal legalization of commercial hemp farming will assert definite legal status of the crop, and charge the USDA with revising its exclusion of U.S. grown hemp from the National Organic Program. Protections for interstate commerce of U.S. grown and manufactured hemp products. Normalization of finance, banking, insurance and other business proceedings for the hemp industries: American hemp farmers, manufacturers and entrepreneurs face barriers to market entry not experienced by other agricultural and production industries, such as inability to access financing and insurance, and reluctance from major banking institutions to work with hemp businesses. Ensure access to public water rights for hemp farmers. The Bureau of Reclamation prohibits the use of federally-controlled water to be used for irrigation of industrial hemp crops, as long as the crop’s legal status remains conflated with marihuana under the Controlled Substances Act. Water rights in the Western U.S. have been denied to certain Farm Bill compliant hemp farmers. In response, U.S. Senators Michael Bennet (D-CO), Steve Daines (R-MT), Jon Tester (D-MT), Cory Gardner (R-CO), Ron Wyden (D-OR), and Jeff Merkley (D-OR), introduced bipartisan legislation in July of 2017, known as The Industrial Hemp Water Rights Act, to allow farmers across the West to use the water they own through private water rights to grow industrial hemp in legal hemp states. Passage of the Hemp Farming Act of 2018 will also resolve this issue by restoring hemp as U.S. agricultural commodity. Protect the variety of hemp-derived products per a “Whole Plant” definition of hemp. Federal adoption of a “whole plant” legal definition of hemp will further validate the legitimacy of hemp products as non-drug commodities, thus strengthening confidence among consumers and catalyzing the expansion of the U.S. hemp market. We cannot wait to see how this major achievement will help the world of Hemp farming and CBD! We plan on being there every step of the way and using this opportunity to provide our PHB Family with even better products, service and CBD experience!